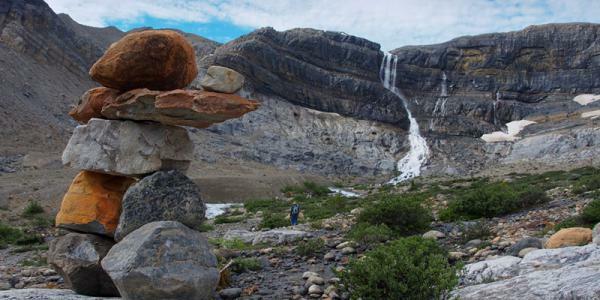 Ranging from short walks on wide paths to four-hour half day excursions, some of the best hikes along the Icefields Parkway are just off the highway. 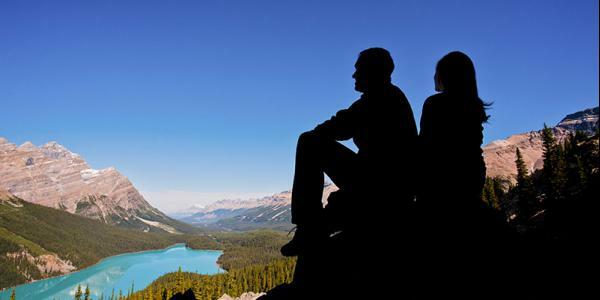 Hike to a tea house for a refreshing cup of tea or enjoy a leisurely stroll to an alpine lake. These short hikes have been chosen for you to enjoy and allows you to jump back in the car and carry on. In the winter time, snowshoeing is a favored activity along many hiking trails. 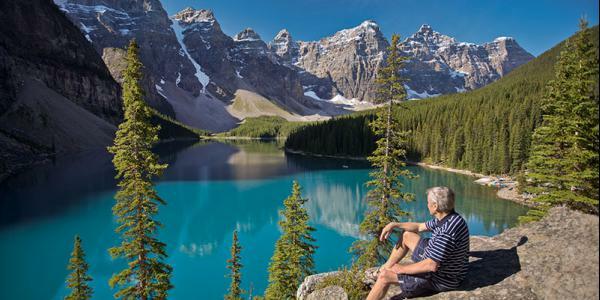 This popular lake was once printed on the Canadian $20 bill. 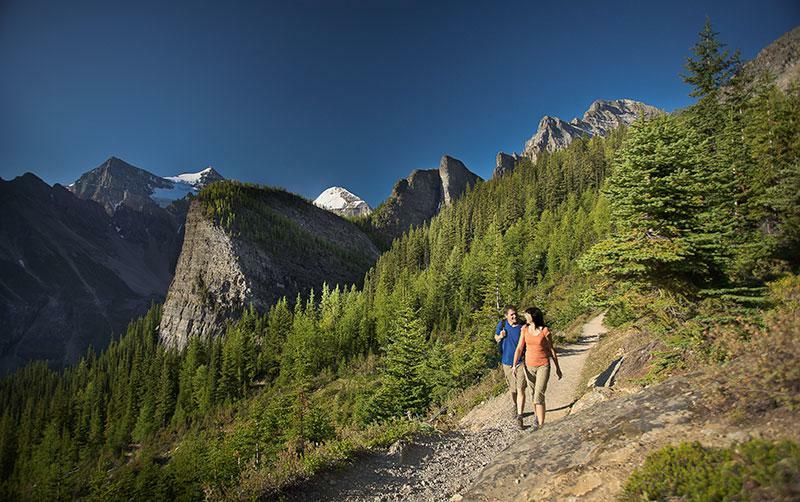 Also known as the Teahouse Trail, the Plain of Six Glaciers hike starts at the shoreline of Lake Louise and continues to the back of the lake and valley. 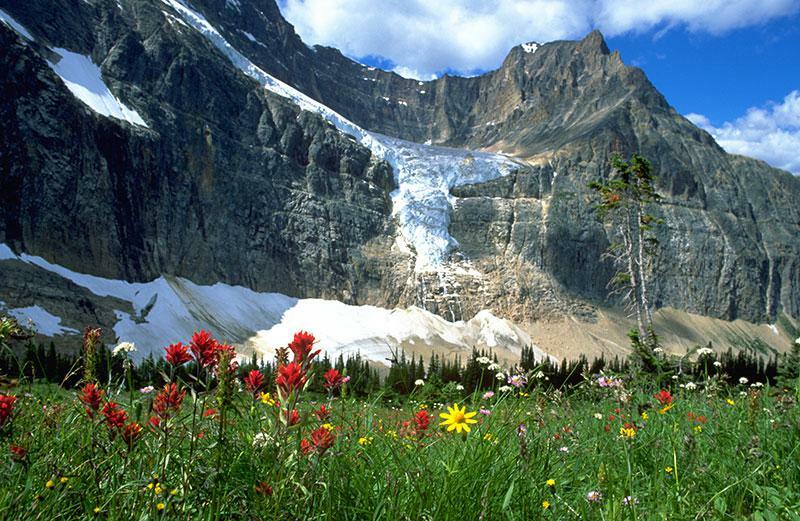 Glaciers, vaulting peaks, avalanche paths, high mountain wildlife and a possible teahouse visit (Lake Agnes and Plain of Six Glaciers teahouses) are all on the menu. 11km (7 miles) return trip. 365 m elevation gain (1200 feet). 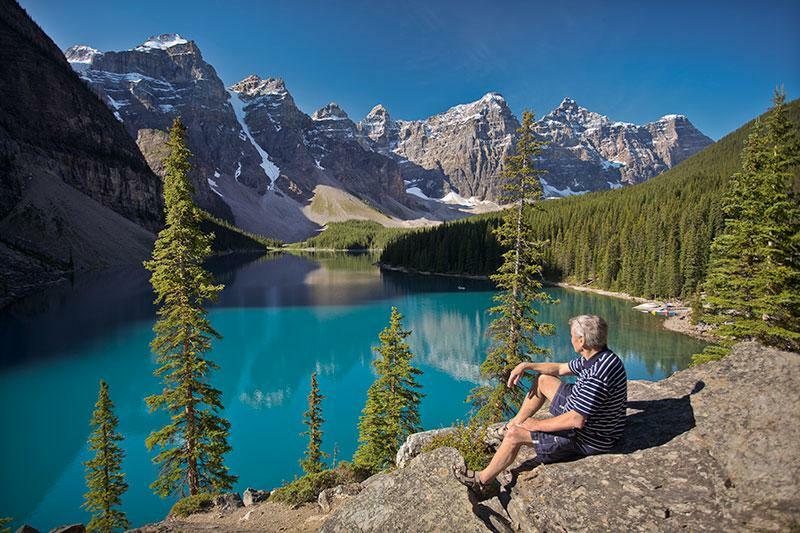 15 kilometres southwest of Lake Louise, via Moraine Lake Road are ten stunning peaks showcased in one valley. 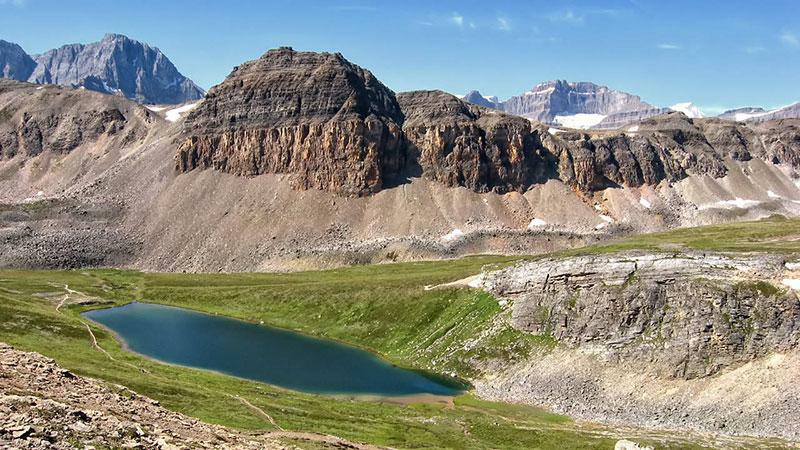 Once printed on the Canadian $20 bill, this area is a hiker’s dream with a choice of seven hikes ranging from leisurely walks, such as Consolation Lake, to challenging hikes like Mount Temple and Paradise Valley. 10 km (6.5 miles) return trip. 365 metres (1200 feet) elevation gain. Meltwater tumbling from the Wapta Icefield creates this falls and the headwaters of the Bow River. 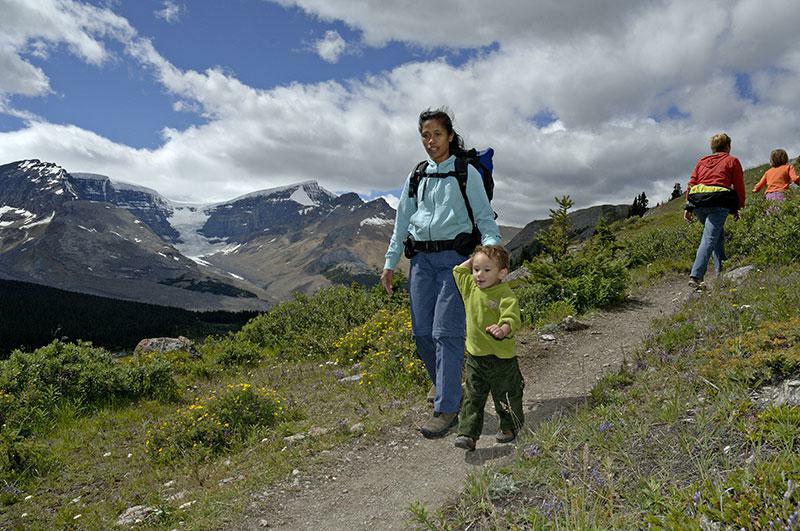 Located 36 km north of Lake Louise at Num Ti Jah Lodge, this walk is great for any age. Children will marvel at the viewpoint in front of the falls. For an added challenge you can traverse the rocky section and get right to the base of the falls. 6.5 (4 miles) return trip. 60 metres (200 feet) elevation gain. 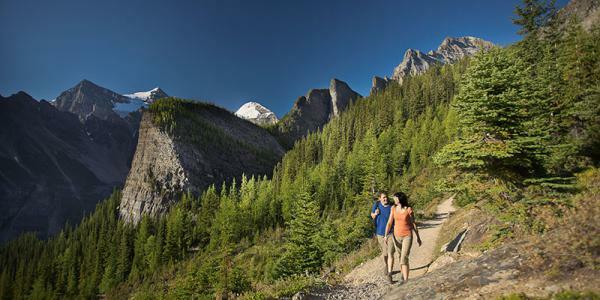 Travel 30 kilometres north of Lake Louise to this popular trail adjacent to the Crowfoot Glacier. The breathtaking lake is tucked in a valley teeming with alpine floral meadows, wildlife and spectacular views. 12 km (7.5 miles) return trip. 455 metres (1500 feet) elevation gain. 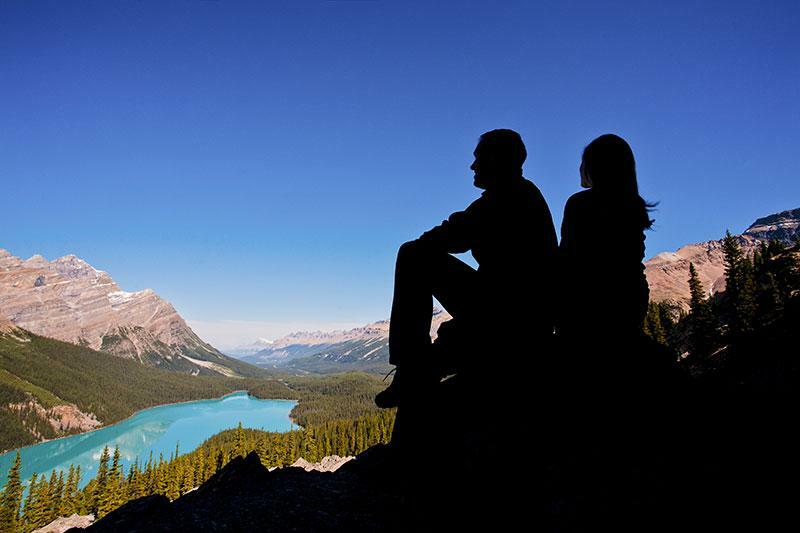 The highest point on the Icefields Parkway, the hike to the Bow Summit puts you in view of the famous Peyto Lake and Bow Lake. 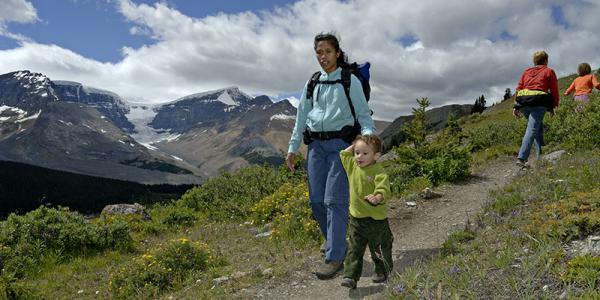 This hike is very kid friendly and accessible for most people, making it a very popular spot. Because of it’s elevation alpine wildflowers, alpine meadows and alpine wildlife such as marmot, ptarmigan and pikas can be seen. 6 kms (3.5 miles) return trip. 245 metres (805 feet) elevation gain. 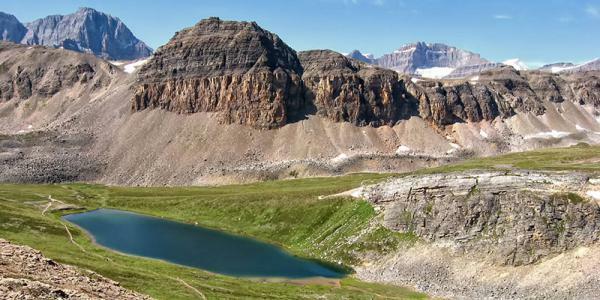 Once atop the backbone of Parker Ridge you will see the longest glacier in the Canadian Rockies - the Saskatchewan Glacier, also the headwaters of the Saskatchewan River. Take time to stop along your hike to enjoy the dramatic views across sweeping valleys and mountain ranges. 5 km return (2.5 miles) return trip. 250 metres (820 feet) elevation gain. 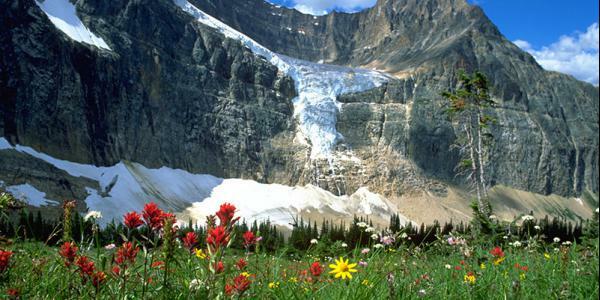 Mt Edith Cavell’s 3300 metre (10,830 feet) peak is one of the most impressive mountains in the Canadian Rockies. 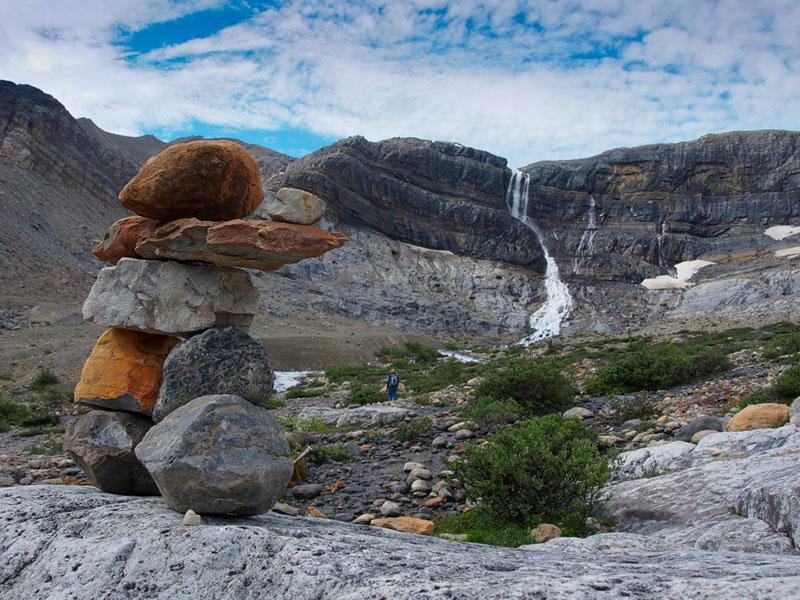 Located in Jasper National Park, the 14 kilometre road puts you close to the mountain’s commanding north face, the Cavell Meadows, alpine flowers and the spectacular views of Angel Glacier.